A classic, characterful, vintaged tea with an earthy aroma and flavour that conjures up an idyllic scene of a wooded hillside in autumn. 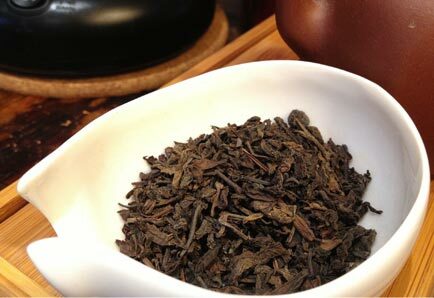 This 2007 vintage tea from China’s far south is full-bodied with a powerful character and a lingering finish. The aroma of Liu Bao Cha is mellow, fusty and fragrant. The thick leaves produce a liquor that is burnt-sienna or amber-red and a taste that’s mellow and thick. Liu Bao Cha stands up excellently with strong food flavours and it aids digestion. It warms you up on a chilly day, or else you can enjoy it as a cool drink in hot weather.